125 years ago: Henry E. Giles becomes professor of music at Brigham Young Academy and organizes the Music Department with a full curriculum. 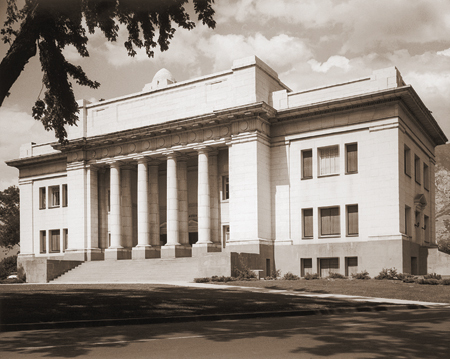 100 years ago: The Maeser Memorial Building is completed and occupied. The building was intended to recognize the university’s past by memorializing Karl G. Maeser and his contributions to the university while at the same time looking to the university’s future growth. 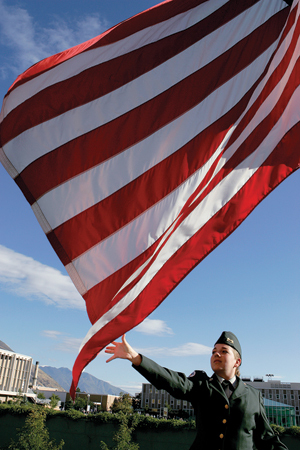 50 years ago: After the completion of the Abraham O. Smoot Administration Building (ASB), ROTC cadets begin the daily posting and retiring of the American flag on the pole just south of the ASB—a tradition that continues today. 25 years ago: Professor Dale J. Stevens (BS ’61) begins to map the uncharted areas of Arches National Park. Over the course of the project, he doubles the number of known arches in the park. 10 years ago: After more than a year of negotiations, the Museum of Art acquires Christ Healing the Sick at Bethesda (1883). The beloved painting by Carl Heinrich Bloch was purchased with funds donated by Jack and Mary Lois Wheatley. 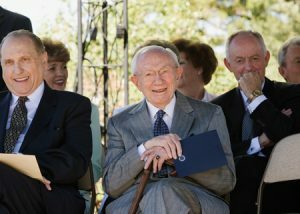 5 years ago: Ground is broken for the Gordon B. Hinckley Alumni and Visitors Center on President Hinckley’s 96th birthday.